Deals are typically merchant cash advance deals in MCA Suite. A deal is associated with a company with a contact type that is a merchant. Funders and Brokers offer deals to companies and not to individuals. 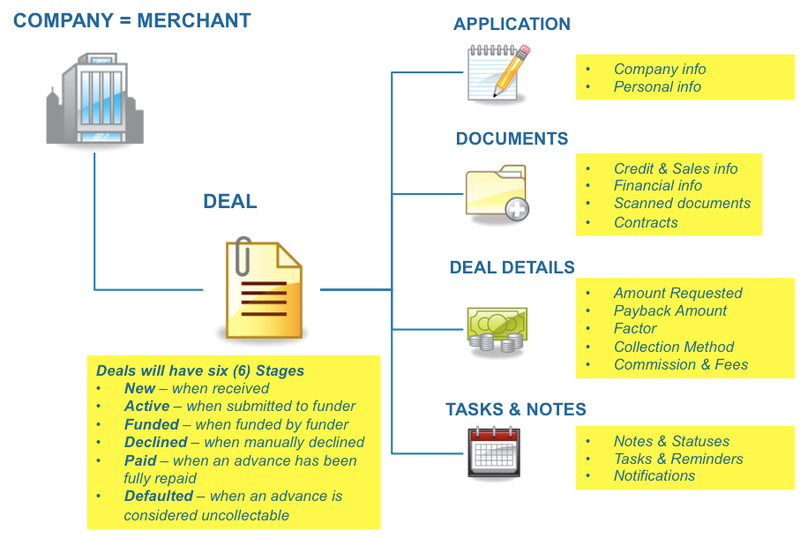 A Merchant Cash Advance (MCA) deal in MCA Suite is a virtual folder containing all the information for the merchant's business and personal information. Below is a list of sub-pages associated with a Deal and the information it stores. Deal Summary -- contains summary information about the Deal. Deal Details -- contains the offer, collection method, source and assignment information. Application -- is the what is a summary of the merchant's company, personal and financial information. 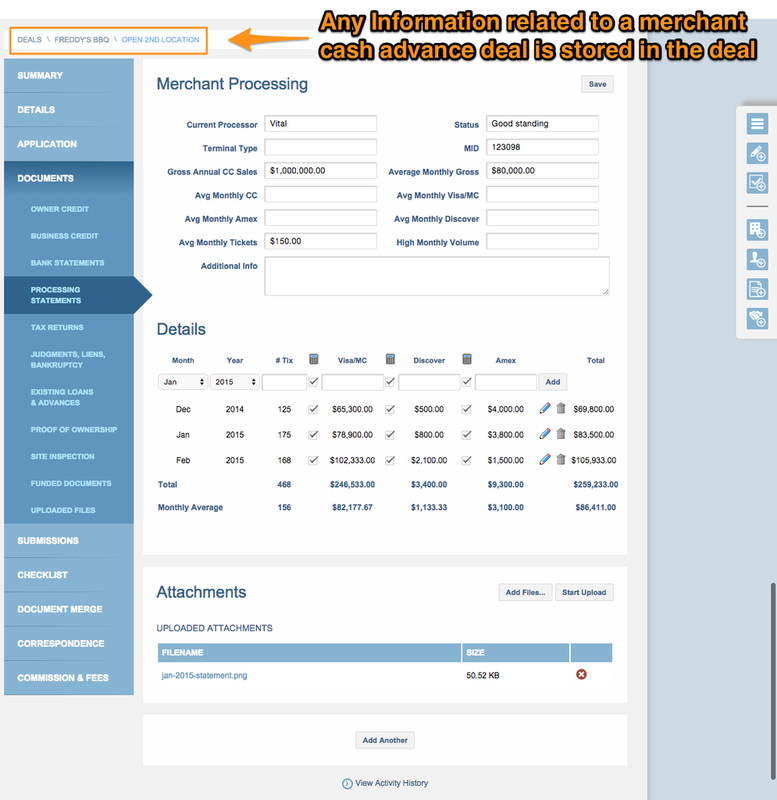 Documents -- has a additional subpages to help capture all documents related to the merchant cash advance underwriting process. Submissions -- helps track offers and statuses from funders where you submitted the deal. Checklist -- is a listing of items for your team to keep track of what needs to be collected during the merchant cash advance process. Document Merge -- contains templates you have uploaded to be used to merge with deal information to create contracts, agreements and other documents. Correspondences -- allows you to send emails out from MCA Suite. Commissions & Fees -- allows you to track commissions you owed to others as well as others owe you. Deal Tracking (not shown below) -- appears on when a deal has been "funded." It shows all details metrics related to the deal as well as transactions (payments).